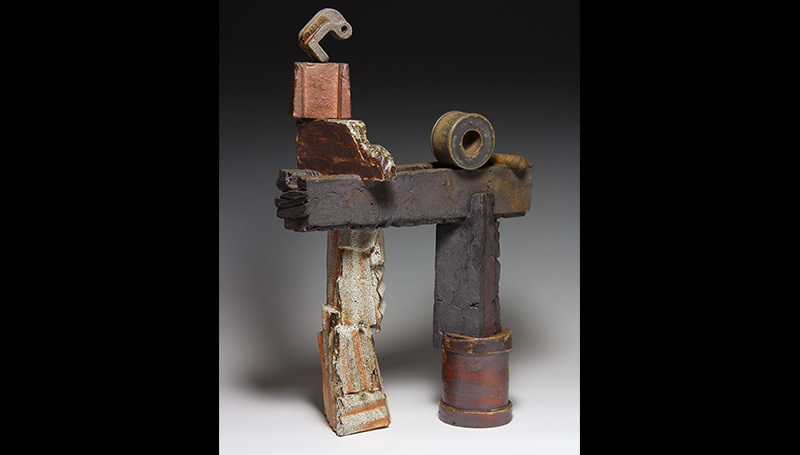 The current exhibit of sculptures and ceramics by artist Jeff Johnson has been extended until Thursday, Nov. 2. Johnston is a professor of art and head of the Sculpture Department at College of the Ozarks in Point Lookout, Mo.. He has a BFA in ceramics from the University of Cincinnati and a master’s from Portland State University. His work has been exhibited nationally and internationally. “Markers fascinate me. I refer to my current pieces as ‘cairns,’” says Johnston. “Cairns are piles of rocks raised by ordnance surveyors. They can be found in the lowlands of Scotland and England, and most likely date back to Celtic times. They also refer to trail markers left by hikers. The date for the public reception has been changed. It will be held from 3 to 5 p.m. planned for 3 to 5 p.m. Thursday, Nov. 2, in Spiva. Gallery hours are 9 a.m. to 5 p.m. Monday through Friday.